Patagonia's vast and varied landscapes contain everything from volcanoes and glaciers to craggy fjords, the tail of the Andes and the pampas plains. There are plenty of tours to choose from, taking you between its distinct regions by land and sea, or we'll help you create your own dream itinerary from the endless possibilities. Flights, cruise and tours could not have gone any better and that is from seasoned world travellers. Congrats Swoop. Swoop were great. The recommendations were spot on from hotels suggested to tours. Service prior to the trip was great & the final itinerary very informative. We couldn't have booked this trip without assistance from Swoop and I'm so happy we did. It really was a trip of a lifetime, except we definitely want to go back and see more! We were so happy for Swoop's help in setting up a trip that gave us the freedom to explore on our own. We really couldn't be happier. We told Swoop we didn't want to do the tourist version of Patagonia and they nailed it. The people at Swoop were so helpful and had such great advice. 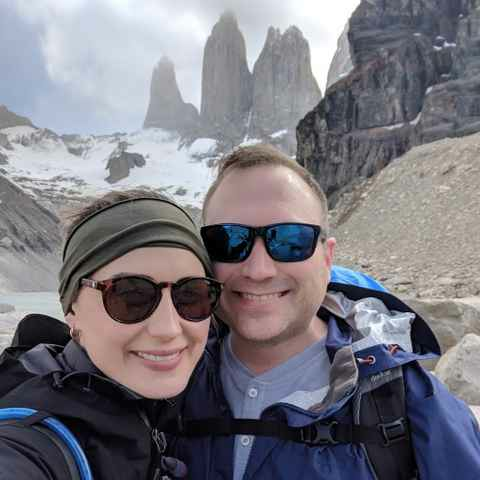 The Swoop website has so much information on Patagonia, and Swoop made such a difference in helping us figure out where we wanted to go and what we wanted to see and create a plan to make it happen. Our family had the enormous good fortune of working with Swoop to book our holiday, it would be difficult to imagine a more satisfying trip than Swoop arranged for us, or dealing with professionals more knowledgeable and courteous than its staff. The spectrum of the Patagonian landscape runs from the crystal blue ice sheets in Los Glaciares National Park, to the red stone of Los Cuernos in Torres del Paine and the deep greens of the southern fjords. Varied regions offer a wide range of adventure. Torres del Paine National Park, with its dramatic granite peaks, is Patagonia's most popular trekking destination. While it's best known for its W Trek and the Torres del Paine Circuit, this national park is also home to horse-riding, kayaking, and puma-tracking. The town of El Chalten is a hikers' haven, lying in the shadow of the dominant Mt. Fitz Roy. Staying in the town, you'll be able to go on day hikes around Fitz Roy to incredible sights. You'll also find the world famous Perito Moreno Glacier nearby. Tierra del Fuego is a wild, windswept land for intrepid trekkers and those embarking on an adventure cruise through the glacial waters of the Magellan Straits and South to Cape Horn. It is also home to the southernmost city in the world, Ushuaia, from where you can set out on a voyage to Antarctica. Warmer, greener and wetter than most of Patagonia, the Lake District offers many options for fishing, kayaking, and rafting. 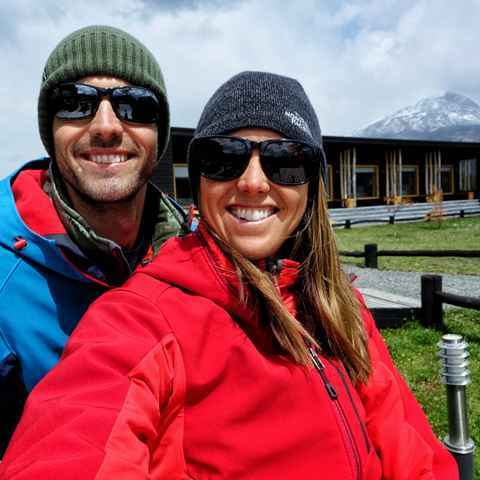 Other adventure activities such as hiking, horse-riding, and bike touring are on offer here in the summer months, while the surrounding snowy peaks attract skiers to Bariloche during the winter.